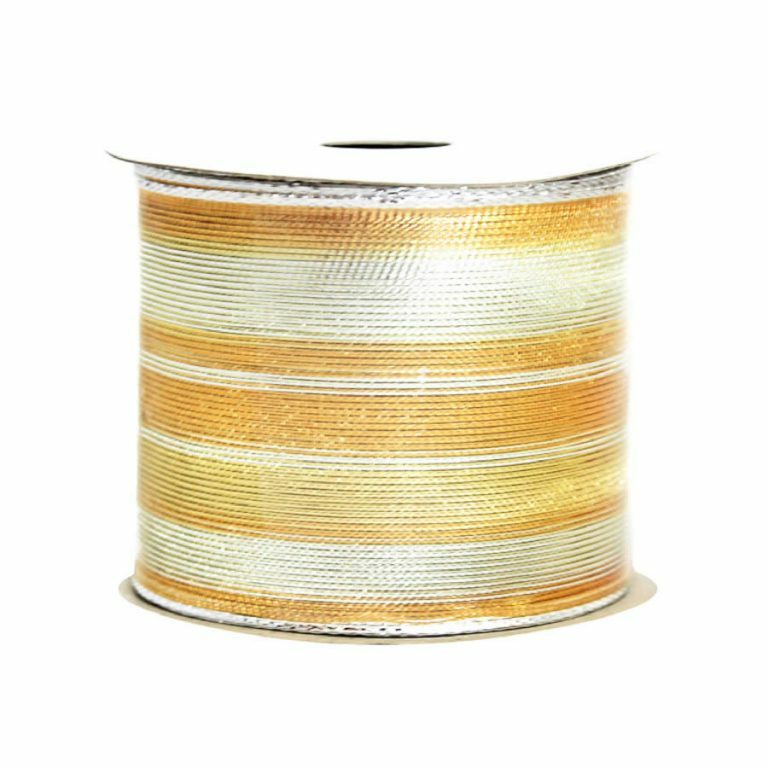 The Ivory Ribbon with Gold Edge is exactly what you need to have on hand for a bevy of projects, crafts, and accenting options all year long. 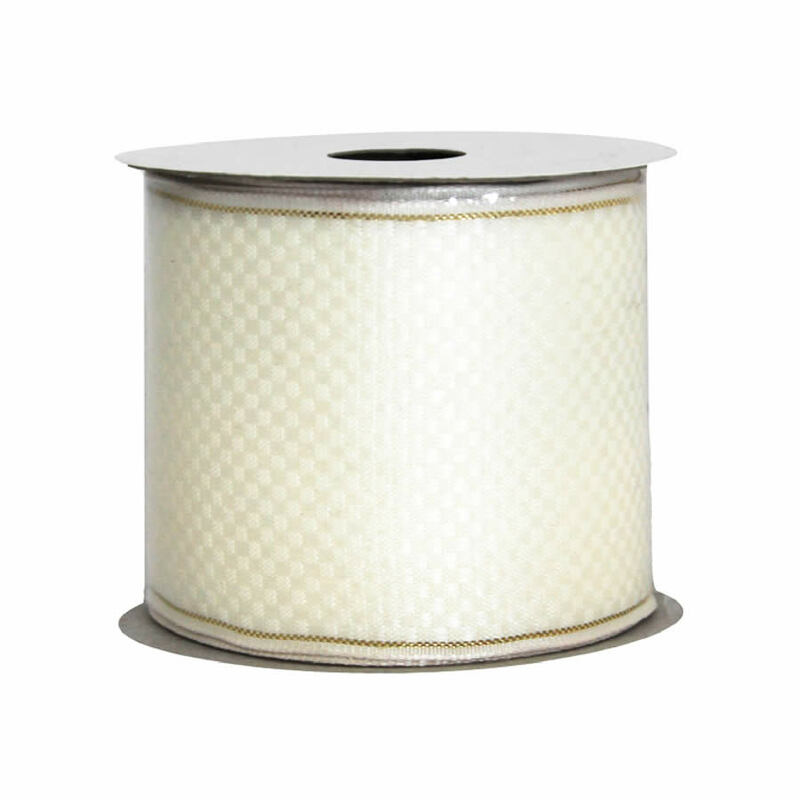 Each roll of ribbon measures approximately 9-metres long and 7cm wide. 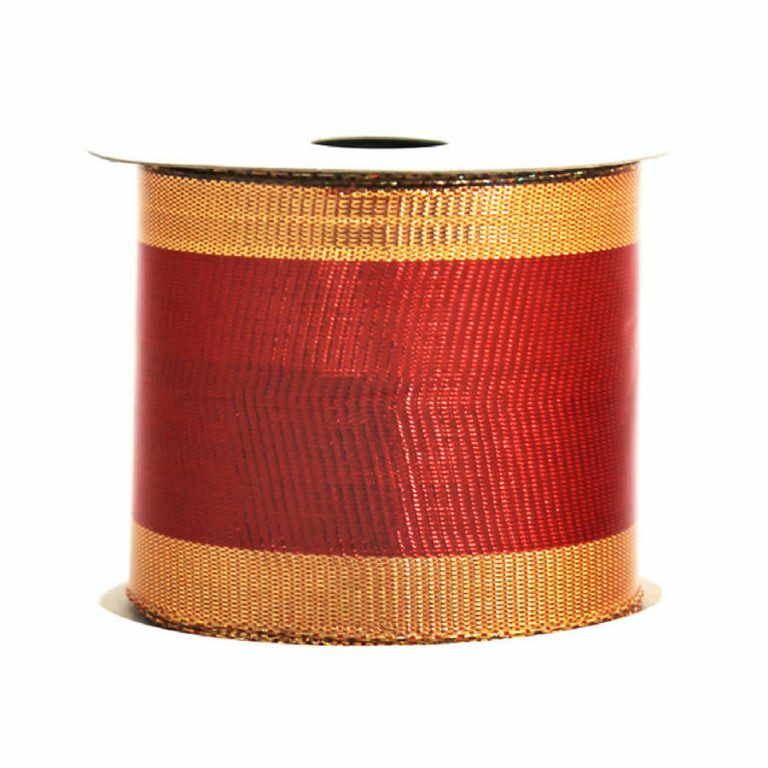 This is a fine quality, wire-edged ribbon which makes it far easier to create long-lasting bows and trims at any time of the year. Use this to create the perfect bow for a birthday gift; try swaddling a decorated Christmas tree with this beautiful ribbon. 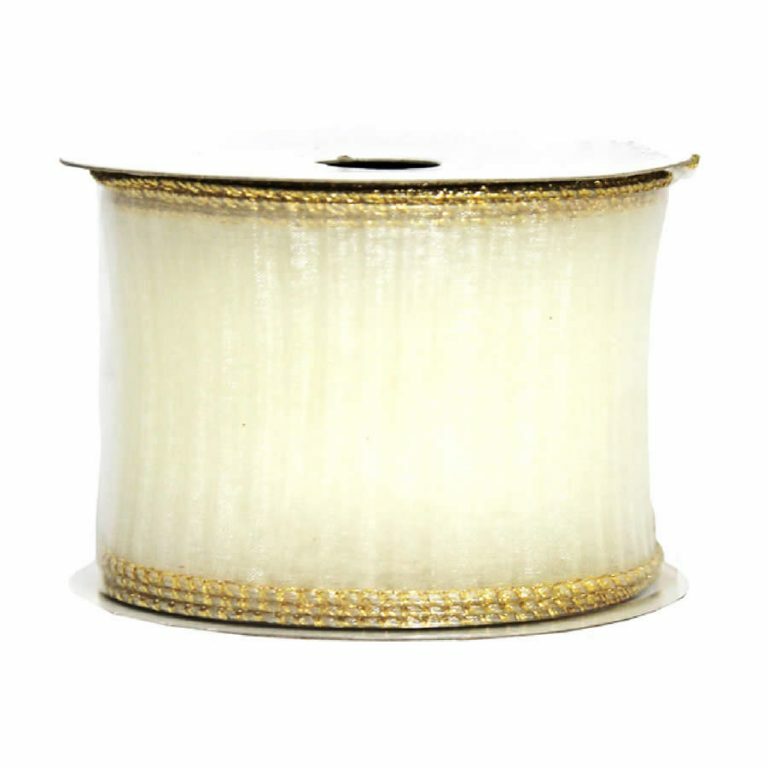 This ribbon has a very delicate gold trim accent that complements the wintry ivory white of this remarkable ribbon. 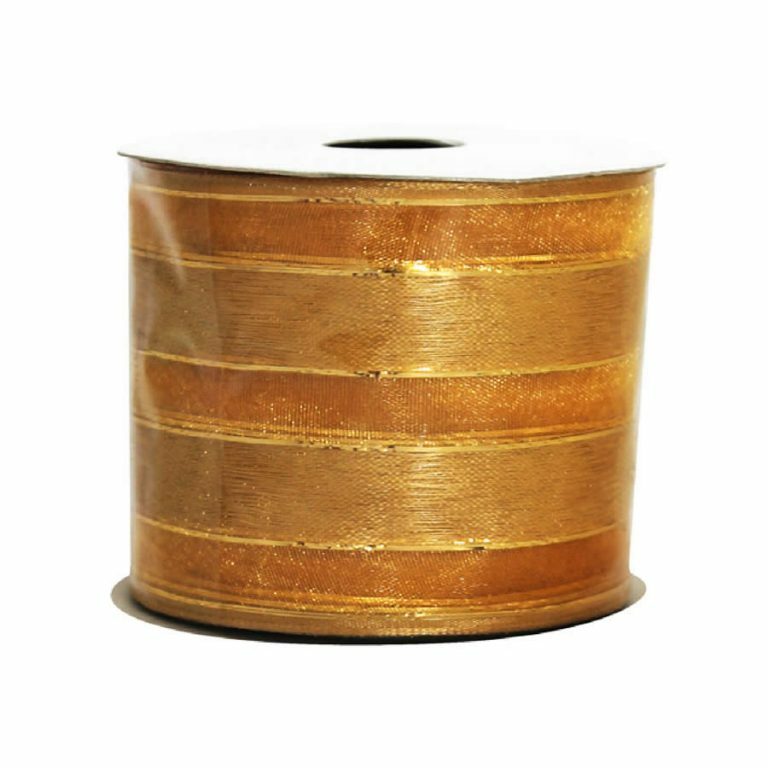 This is the ribbon that serious crafters and holiday enthusiasts want to keep nearby during their preparations or home decor projects.